The Old Butter Factory based in Bellingen is a beautiful space serving delicious breakfast, lunch, and afternoon teas daily. The Old Butter Factory is a delightful venue for functions, weddings, parties and other group bookings, and Ray and Pia are highly experienced event organisers with considerable flair and attention to detail. There is no better outlook than the view across the beautiful Bellingen golf course to the Dorrigo hills from the café forecourt, and they look forward to welcoming friends and visitors to join them for ‘sundowners’. The Old Butter Factory Cafe, Bellingen is the perfect venue in Bellingen for your wedding, party or special event. 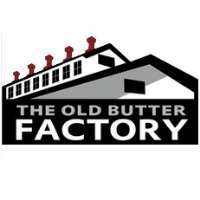 For more information, feel free to contact or visit The Old Butter Factory today.